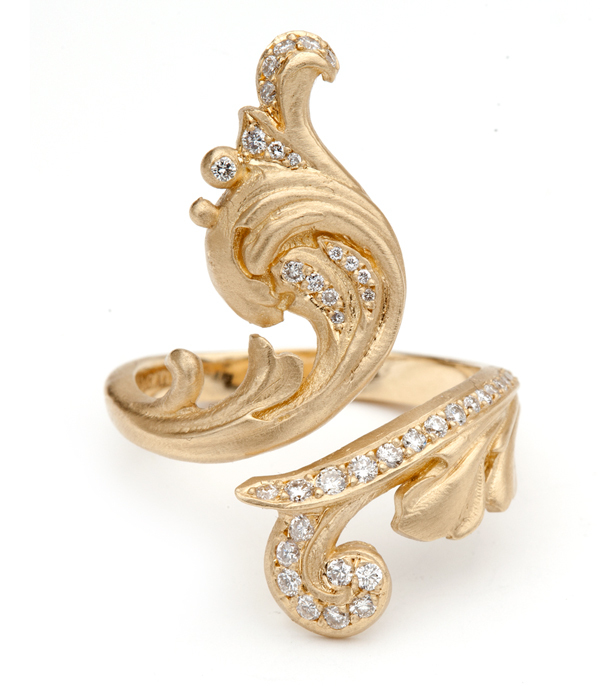 Our Signature Scroll ring captures the glamour and whimsy of the Regency Collection. Being slightly adjustable makes this ring easy to wear, while making a dramatic statement on any hand. Diamond accents (0.33 ctw) add just the right amount of sparkle. Categories: Bohemian Elegance, Regency, Rings.